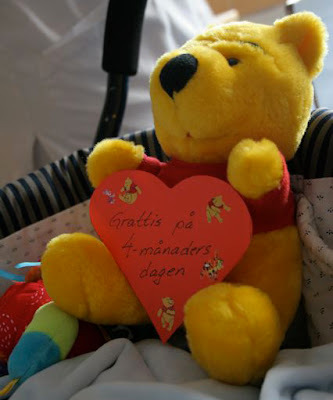 Today, Abbe is four months old and was given a little teddy by the staff. They know Abbe almost as well as I do. I did a bit of counting, and came to the conclusion he had spent more than half his life at Queen Silvia’s Children’s Hospital. Well, I think it's time to grow out of these statistics now.